16! Years and still going! Welcome to TESP!, The Emerald Star Post. 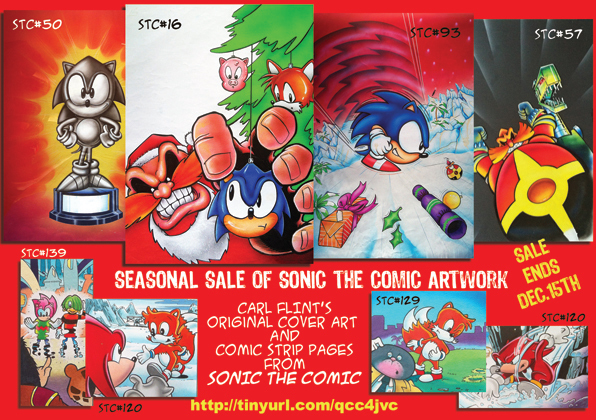 Here we aim to give you all the stuff you were need for your Classic Sonic habit, and when we say Classic, we mean the Best of the Blue Furred Hedgehog himself, From his first game in 1991 to his last Cartoon show in 1999. Not only do we give you all this information on All his Games, Cartoons, Books & Comics, but we are collecting a database of information on all merchandise for him, from T-shirts and Jigsaws, to badges and Modern 'Retro' gear. We also try to give you more like Articles from comics and Mags about the Blue one and his friends, and Articles made by TESP Staff members, to Our own Oringal games and works! Something here we don't have that you want? Check out the Contact Page and tell us! we will be happy to do our best to help out! Just put your mouse cursor on the menu bar above to see the sub-menu of all the pages in that categorie has. Or check below for the site news and updates! Christine Cavanaugh, Voice Actor of Bunnie Rabbot in SatAM, has died age 51. She died on the 22nd December (Family comfirmed on the 30th) While at home. No cause release. She won a few awards for her various roles between 1988 and 2001, until she retired and return home, citing a desire to spend more time with her family. A shame that the first new news here in some time is this but things go like that. 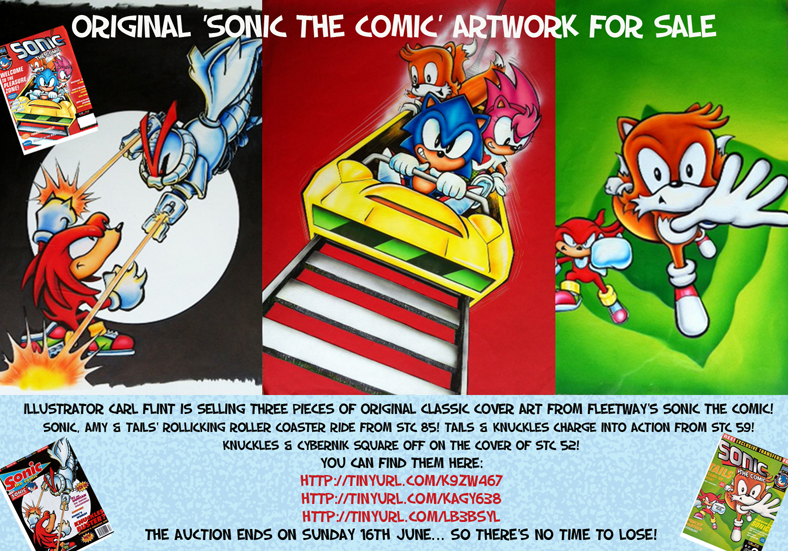 Good works again by him, money goes direct to the artist, not a third party seller. Mmm.. Long Time no work visible..
either way, Fixed the Search.. It now works again. Sorry for taking so long on it. All nice works and money goes direct to the artist, not a third party seller, so very much worth it. Yes, I know I haven't been VERY active here.. too many things going on that distract and are of more importance these days.. but any way..
Added a New Note to Sonic 1 for the MegaDrive, featuring newly discovered Credits with a Translation. Also minor updates to the credits page..
First 4 Figures have dispatched the Tails Statue. 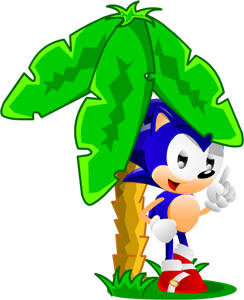 I still have images of the disappointing Knuckles one to come and I'll do some images of that Tails one.. and with luck, get some more of this site updated when it's a good time. The First 4 Figures Knuckles and Knuckles excluvie statues are being dispatched shortly. If you have Pre-ordered them, expert the money to come out soon. Actor William Windom died on Thursday, 16 August 2012. He died of congestive heart failure at the age of 88. He was an actor that was in alot of things over his carear, from 1950 till he retired in 2006. He will probebly mostly be remembed for his award winning role of Dr. Seth Hazlitt, a major recurring character in 'Murder, She Wrote" and to Sonic fans as Sir Charles 'Uncle Chuck' Hedgehog in Both Series of SatAM. Lewstringer.Blogspot.co.uk. The Blog is also of interest for alot of information and articles on Classic British comics and some modern stuff too. Well worth a Visit. Lew Stringer has just reported the Death of UK artist Mike White. He worked on Sonic the Comic, doing the Golden Axe Stripes, as well as the Golden Axe Cover for issue 5, back in 1993. He then returned doing all the Stripes in the 1996 Knuckles Knock-Out Special. He has had a fairly long career in UK Comics and i'll just link to Lew Stringers post on him, cause he can say more on him then i can. Sonic the Hedgehog and related Characters are copyright Sega (Service and Games). Sally Acorn, Bunny Rabbot and other Satam characters are Copyright Dic and Archie Comics. Manic Man is copyright Manic Man. Fan art and other fan stuff is copyright the one who made it. Site Design is Copyright Manic Man and took a bit of time so dont go and nicking it, I bet he would not nick your Site design!